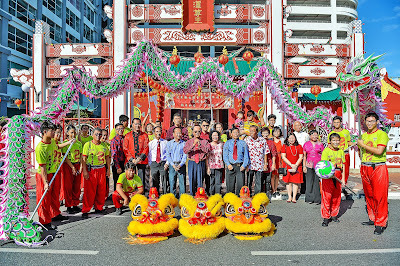 THE Chinese community in the country yesterday welcomed the Lunar Year of the Rooster with pomp and gaiety. 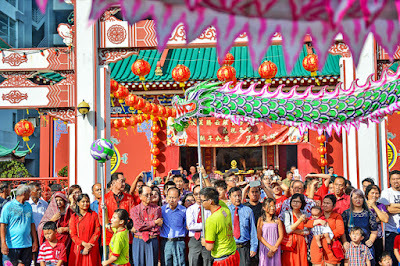 As beating of drums and clash of cymbals resonated throughout the Capital, hundreds of members of the Chinese community converged at the Teng Yun Temple to mark the beginning of the Chinese New Year. 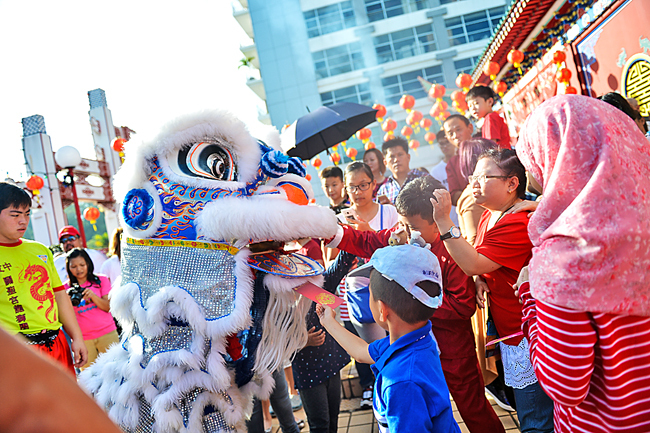 Adding glitter to the celebrations was the lion dance. 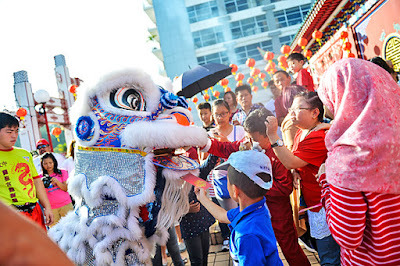 Amid cheers in a vibrant atmosphere, the Lion Dance Troupe from Chung Hwa Middle School entered the temple’s courtyard to kick off the celebrations, performing to a crowd who had gathered as early as 7am to witness the colourful and lively performance. The troupe later made their way into the temple, where worshippers could be seen entering and exiting to pay respects to their ancestors and make offerings as part of traditional prayers for prosperity, health and peace. Also present at the celebration yesterday was the newly-appointed High Commissioner of Bangladesh to Brunei Darussalam Air Vice-Marshal Mahmud Hussain and spouse, who arrived in the country just two months ago. 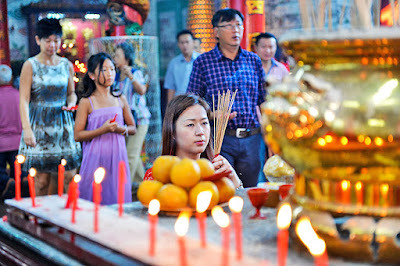 Half of the roads in the capital were temporary closed down to give way to the performances that were held inside the temple premises and outside. 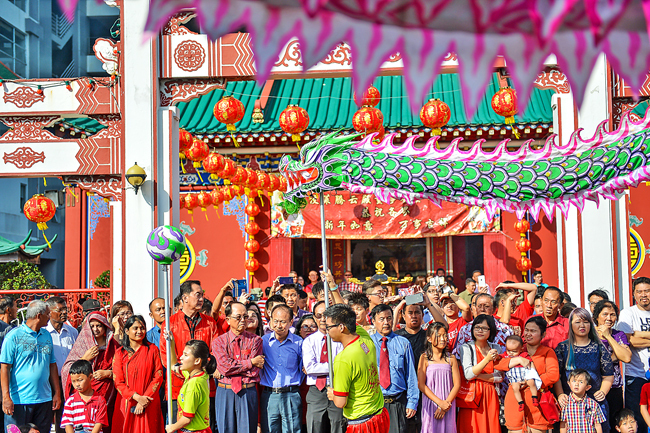 The celebration attracted several visiting tourists who took the opportunity to take photographs of the lion and dragon dance performances. Also at the event were local shutterbugs from the Brunei Darussalam Photographic Society. The Royal Brunei Police Force was stationed in the area to control the crowd and ease traffic. 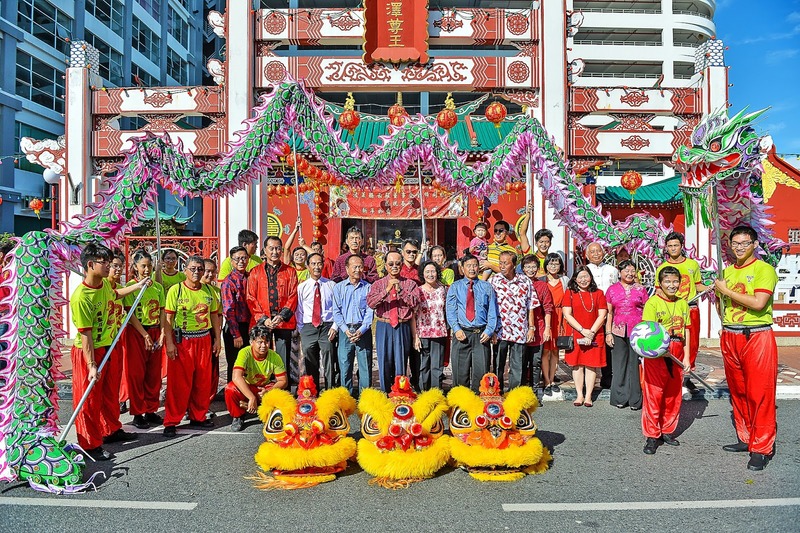 The ceremony was also attended by the executive committee members of the temple who handed over red packets to lion dance performers for good luck. A large gathering of parents along with their kids were on the scene in high spirits to witness the celebration.